The price of gold, one of the most eagerly watched indicators of market confidence, is currently “too low” relative to real interest rates, according to commodities analysts at Goldman Sachs [GS= Unavailable () ]. 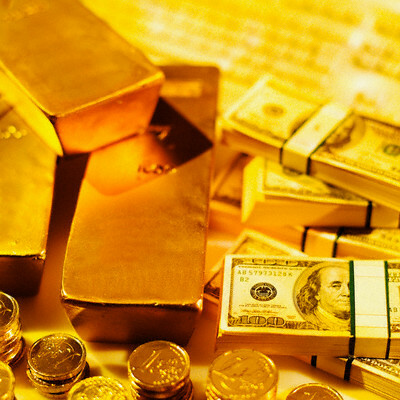 The analysts forecast that gold [XAU= 1674.79 -5.25 (-0.31%) ] will rise to $1,785 per ounce over the next 3 months, $1,840 over the next 6, and $1,940 over the next year. 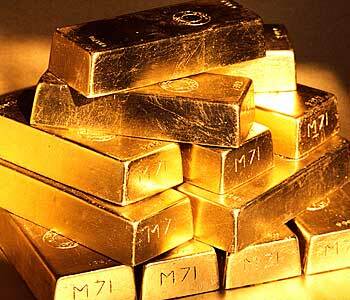 “At current price levels gold remains a compelling trade but not a long-term investment,” they wrote in a note. They argue that U.S.real interest rates are the most important driver of the price of gold in dollars – but that this relationship broke down late last year and has not yet returned to the level current negative or low yields on 10-year Treasurysimply. The low yields have come following the Federal Reserve’s Operation Twist – which involved the central bank buying up longer-term Treasurys and selling shorter-term Treasurys and helped restore the markets’ confidence in theU.S. “We believe that despite last fall’s decline in 10-year TIPS yields, the gold market may have been expecting that real rates would soon be rising along with better economic growth, leading to a sharp decline in net speculative length in gold futures,” the analysts said. More bearish views state that the gold price has already peaked at last year’s record high of $1,920.70, as markets get more confident about the future of Western economies. Malcom Norris, CEO of Australia-based miner and explorer Solomon Gold, told CNBC Wednesday the precious metal could even reach $2,000 per ounce. The Goldman analysts admit that stronger-than-expected U.S. economic datais a “growing risk” to their forecasts for the gold price. Better-than-expected data on the slowU.S. recovery, as well as mass liquidity injections in the European banking system, have helped to drive the price of gold down this year. There is also some speculation that central banks around the world may start buying gold again, after the UK’s Chancellor of the Exchequer George Osborne hinted that the Bank of England may stockpile the precious metal in last week’sBudget – although he later said he meant reserves in general rather than specifically gold. 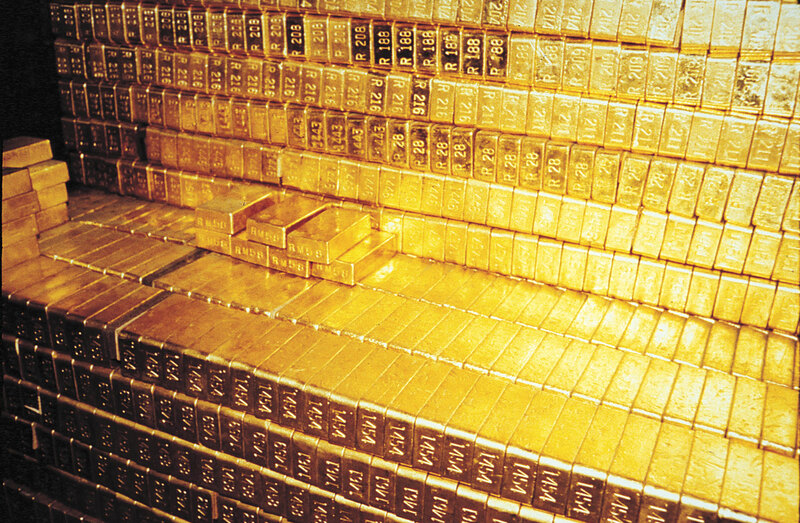 “By holding more gold central banks are insuring themselves against their own profligacy. They print money. The price of gold goes up. And if they hold a lot of the stuff in their vaults, they are the big winners from the rise in price,” Matthew Lynn, founder of Strategy Economics, wrote in a research note. 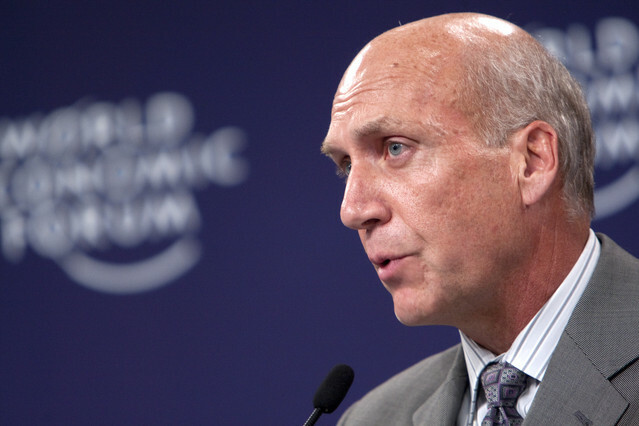 Richard O'Brien, Newmont Mining president & CEO. But investing in Newmont gets you a dividendpegged to the gold price, and if gold does hit $2,000, as O’Brien predicts, investors would be getting a boost. Last year, when O’Brien predicted gold at $1,750 an ounce in 2012, Newmont’s dividend rose in each quarter and was 35 cents a share in the fourth quarter. Right now, the company pays a 2.3 percent dividend, he said, but “when we get to $1,700 gold, it will go up to 2.5 percent. When we get to $2,000, we’d be 3.5 percent to 4 percent higher.” He did not say when he expects gold to rise to $2,000 an ounce but did say the company sees flat production and escalating costs this year. Gold is retracting, giving back much of its gains for the year to date. 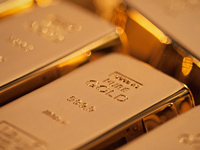 We are seeing gold at mid-January levels and it is finding resistance in any moves over $1675. The projection for 2012 ,an election year, are for mostly good news and economic sunshine. Jim Rogers, Chairman of Rogers Holdings, commented while on CNBC’s The Kudlow Report, This is 2012. There’s an election in november. There’s an election in france. There are 40 elections this year. The germans are having an election a year from now. You will see a lot of good news and a lot of money being spent. A lot of money being printed. Yes, this year’s fine. Worry about 2013. Be panicked about 2014, but this year, a lot of good news is coming out. Jim Rogers isn’t alone he is join by Marc Faber , of the Gloom, Boom & Doom Report, who told CNBC, If you don’t own any gold, I would start buying some right away, keeping in mind that it could go down. He was later quoted in ETF Daily news: The possibility of the gold price going down doesn’t disturb me, says Faber. Every bull market has corrections. Adding that investors who own no gold today should immediately begin to incrementally allocate no more than a total of 25 percent of their portfolio holdings in gold. 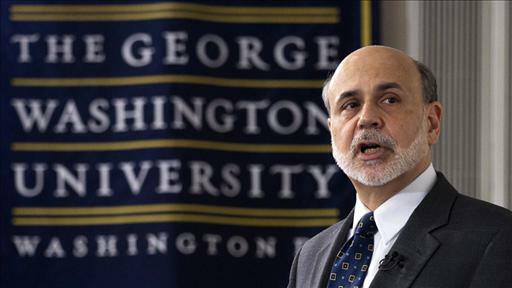 We have commented on Fed Chair Ben Bernanke’s change of tone on QE3 & the economy after Rep. Ron Paul blasted him on the floor of Congress about the real value of silver & gold. This year is should be viewed for investors as the summer before the long hard winter of recession. Now is the time to acquire precious metals & rare coins to build up your Tangible Asset Portfolio. Gold suffered what appears to be long-lasting damage since the onset of March, with prices falling nearly 7% from 2012 highs. As Treasury yields surge, markets have entered a new phase marked by generalized optimism, where fears over economic weakness and of an implosion in the Eurozone have receded. These are ominous signs for safe havens, and gold has gotten clobbered, forcing UBS’ Edel Tully to lower her one-year price target to $1,550 an ounce, a 12.7% downgrade. Still, the yellow metal could once again look attractive if any of the major risk scenarios play out, or if the Fed signals it has no intention to begin “normalizing” policy. QE3-or any form of additional easing-, rising inflation, or a major oil price shock should add fuel to gold’s decade-long rally once again. Gold was trading up 0.4% to $1,625.80 an ounce by 4:18 PM in New York. Only two weeks ago, the yellow metal was up above $1,700. On the flip side, 10-year Treasury yields, which were as low as 1.8% in early February, are now up to 2.38% and promise to move higher (Nomura’s short-to-medium term outlook is 2.4%, possibly overshooting to 2.5%). Last week’s violent Treasury sell-off marked the shifting of a market paradigm. Forcing the Fed to acknowledge the improving economic landscape, February’s jobs report signaled a strengthening recovery. Greece’s widely expected default has momentarily taken Europe’s sovereign debt crisis off investors’ radar screen, while the economic outlook for the Eurozone looks less bleak, with UBS’ 2012 GDP estimates now between -0.4% and -0.7%, suggesting a milder recession than expected. What does this mean for gold? It means investors have lost their appetite for a macro tail risk hedge, according to Tully. Concerns over sovereign credit and inflation have eased, and investors have begun to question the Fed’s intention to maintain ultra-loose monetary policy. Expectations for QE3 have pared back, with some market players expecting rate hikes to begin before the Fed’s pledged late-2014 time-frame. UBS’ macro analysts expect policy normalization to begin in mid-2013. Thus, Tully has cut her one year target to $1,550 an ounce; UBS’ 3-month target was axed from $1,950 to $1,600. In terms of market fundamentals, both physical and speculative buyers have failed to step up. 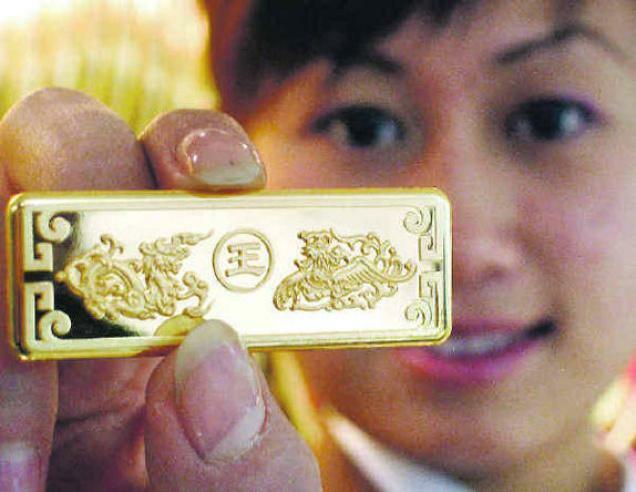 China has lowered its growth outlook and India has recently raised its import duties on gold, which, coupled with a weakening rupee, is structurally bullish for the yellow metal. With physical demand failing to step in to help put a floor under gold, the investment community has taken the opportunity to short the yellow metal, rather than buy cheap, Tully explains. Does this mean game over for gold’s multi-year bull run? No, says Tully. The Fed, along with other major central banks, have seen their balance sheets explode as they inject liquidity into the system, while central banks in emerging markets are beginning to ease in the face of a global slowdown. There are no indications the Fed will begin to hike rates any time soon, particularly given the dire state of U.S. housing markets, and real interest rates in many regions are still negative. The elephant in the room, though, is the rising price of crude oil. WTI was trading around $107.7 per barrel while international crude benchmark Brent recently hit all-time highs in euro terms. An Israeli-Iranian conflict still threatens to disrupt flow through the Strait of Hormuz, while the structural supply-demand balance remains tight. You are currently browsing the Mind Your Money blog archives for March, 2012.